BREVARD COUNTY, Florida – Three Brevard County Public Schools have been ranked among U.S. News & World Report's 2015 Best High Schools in the United States. Two of those Brevard County high schools, both schools of choice, were among the top 100 high schools in the U.S. The top-scoring Brevard County school was West Shore Jr./Sr., Edgewood Jr./Sr. High School in Melbourne which ranked 63rd in the U.S. and 8th in the State of Florida. 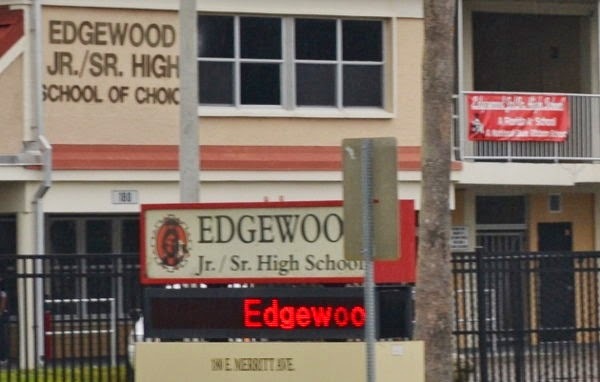 Edgewood Jr./Sr. High School in Merritt Island also made it into the top 100 high schools, ranking 70th nationally and 10th in the Sunshine State. Cocoa Beach Jr./Sr. High School, the only neighborhood (non-choice) high school in Brevard County to be included in the rankings, placed 271st in the U.S. and 18th among Florida high schools. Every year, a U.S. News & World Report team assembles to determine the top ranked high schools throughout the nation. To produce the rankings, the team first determines whether each school's students were performing better than statistically expected for students in their state. Next, the team assessed whether their disadvantaged students – black, Hispanic and low-income – were outperforming disadvantaged students in the state. Schools that made it through the first two steps became eligible to be judged nationally on the final step – college-readiness performance – using Advanced Placement or International Baccalaureate test data as the benchmarks for success, depending on which program was largest at the school. U.S. News then differentiates the top high schools with gold, silver and bronze medals, using gold medals to indicate the greatest level of college readiness. All three Brevard County high schools received gold medals in the rankings. "A high school diploma is essential for career and financial success," said Brian Kelly, editor and chief content officer of U.S. News & World Report. "The Best High Schools rankings are a useful tool for families trying to discern how well schools are serving their students in preparation for college and careers." To see how all Brevard County Schools were ranked, visit Brevard County's rankings on U.S. News & World Report's website.